Did you find an error about your book? Is your book missing a cover image? Or, is some of the information incorrect? Please understand there has been a recent change in our distributor's data which reflects the information you see on our website. Also, keep in mind that the online database does not necessarily reflect what's available to us or what's currently on our shelves. 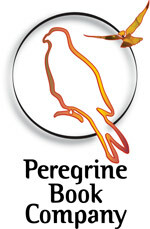 The Peregrine is a member of the IndieCommerce family of websites, which is overseen by the American Booksellers Association. ABA is the national face of independent bookselling. Our database of books is shared with all indie bookstores who are members of this non-profit organization. In this unit of time, the Peregrine has limited resources to sell books online, and because we only sell one or two items from our website, we have intentionally omitted the searchbox. If you happen to search for a book and notice errors in the database, please follow the instructions below to correct the information. Also, note that changes may take a day or two before it shows up online. 1) Log in to IndieBound.org using your personal account. If you don't have an account on IndieBound.org, please create one at http://www.indiebound.org/join.